If you are looking for a bit of fun this coming weekend then watching a lot of people throwing themselves off a pier might be just the thing! 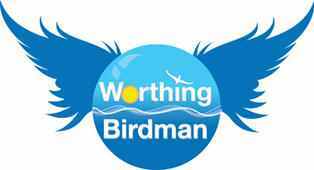 On Saturday the 18th and Sunday the 19th you can witness the latest attempts of man to fly with wings and other dubious devices in Worthing, West Sussex at the annual International Birdman Rally. There are prizes for the furthest distances managed but of course for most its for pride and fun. Flying starts at 12.15am on the Saturday and will be for the serious flyers only. On Sunday flying also starts at 12.15pm and will be for the fun flyers and serious flyers. There is also a full program of events and entertainment on the day on the stage until 3.30pm Saturday and 4.30 Sunday subject to weather. Entertainment includes Jet-Ski displays by the Xtreme Action display team, entertainment, local singers, Bands and more. Saturday at approx 1.50pm there will be the family movie ‘Toy Story’ on the big screen on the beach by the Lido. NCP are also offering a special Birdman rate of £5 for all day parking in the High Street, Buckingham Road and Grafton Car parks on Saturday 13th August. You must park after 10am to qualify for the deal. Please contact NCP for further details and full terms and conditions. On Sunday NCP Multi-storey are £1 an hour, with a max £3 charge. Civic Centre carpark is free. All on street parking is free but vehicles must be parked in an appropriate bay. The best place to view the event will be on the beach between the Pier and the Lido, please do not sit below the taped water line or under the Pier or Lido as these areas will be submerged during the event. There is limited disabled viewing for wheelchairs on the Lido please speak to steward for access.